Girls und Panzer was an amazing anime series, but can that success translate to the big screen? Let’s find out. Girls und Panzer is a show that’s very near and dear to my heart, partly because it was one of the shows that got me back into anime after not watching it for several years. So when I learned that there would be a theatrical showing of the Girls und Panzer der Film near me, I instantly knew I needed to go. I just couldn’t say “No” to Tankery/Sensha-do on the big screen and with surround sound tank shelling. That being said, going from a 12-episode series to a two-hour film presents its own difficulties. On one hand, you have to tell a coherent and concise plot in that time. However, you can’t just cram four or five episodes worth of plot in there, or merely stretch out an episode or two’s plot to fill the time. Every scene needs to have a purpose, every line a meaning, and every shell fired a target. So does der Film rise to the challenge, or is this Ooarai’s last stand? Well, let’s take a look. First, for those of you who have no idea what exactly Girls und Panzer is all about, let me bring you up to speed. In this world, there is a sport known as Tankery or Sensha-do in the Japanese version. This sport is basically mock tank combat, with a tank deploying a little white flag when it’s been damaged enough to be taken out of the fight. While this may seem silly, the combat is actually played pretty straight. These aren’t dummy rounds they’re firing. These shells do explode and cause damage. That said, no one actually dies or gets seriously hurt due to various safety precautions and a healthy dose of willing suspension of disbelief. Unlike most sport anime, however, the show does try to play its combat pretty straight. There are some moments of over-the-top-ness, however, in general, many of the things they do in the series can actually be done and the tanks are all real-life tanks. One last thing of note is the “girls” part of Girls und Panzer. Tankery is done only by girls and women, which often leads to a misconception about this series. The students of Ooarai Girls’ Academy. Keep in mind this is just one of the several schools that exist in this world. A lot of people tend to think it’s very fanservice-y show because of the pretty much all female cast. In reality, the only real fanservice here is for tank and warfare fans. Yes, the girls are cute, but aside from the communal bathing scene that every anime tends to have, there’s none of the usual all-girl anime trappings to speak of. Instead, it’s a very character focused story. Time is given to not just develop the main group of five girls that comprise Anglerfish squad, but to several other teams that Ooarai fields and the other schools they fight. This is something that is actually demonstrated in the film itself, and with that said we might as well dive into talking about the actual subject of this review, der Film. 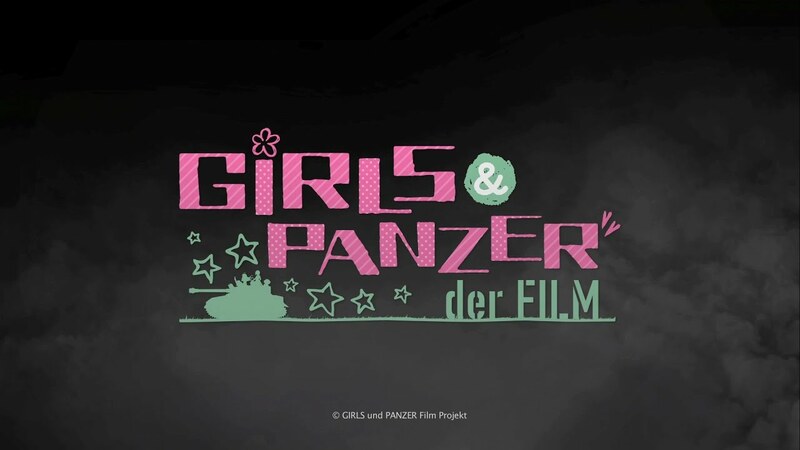 Girls und Panzer der Film takes place after the end of the anime series. I won’t spoil the plot of the show, but I will note that even if you haven’t seen the show, the film brings you up to speed with what you need to know as you need to know it. You may be a bit lost about the specifics of Tankery but that’s about it. If you need to know something to understand what’s going on, the film will tell you without it feeling like heavy exposition. That said I will talk very briefly about the opening battle and the overall premise of the film so be advised. 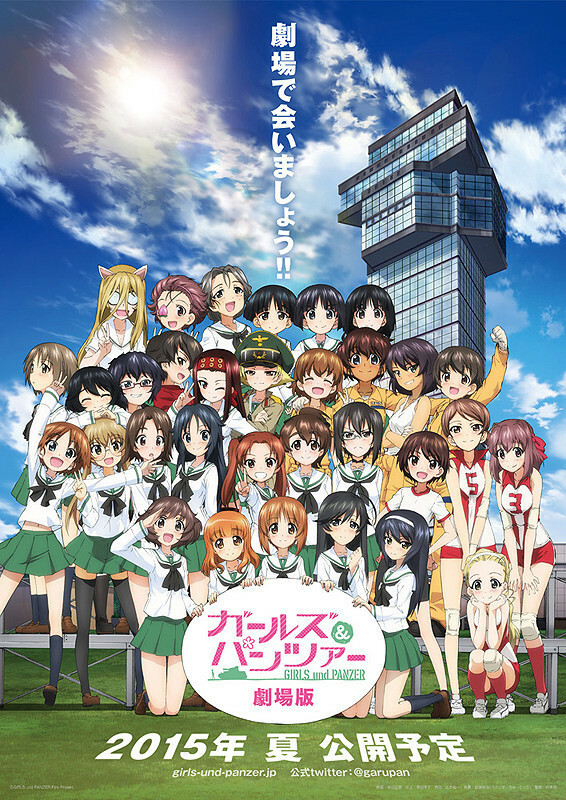 The film opens with a team exhibition battle between St. Gloriana Women’s Academy and Pravda High School against Chi-ha-tan Academy and the girls of Ooarai Girls’ Academy, which are our main characters. The opening fight itself is a lot fun and full of little callbacks to various bits of the anime itself, though nothing that feels out of place. If you’ve seen the anime then this will feel very familiar to you, like you’re meeting an old friend again. If you’re new then this is a good introduction to what Tankery is. After the battle all four teams relax in the communal bath together for some bonding. Suddenly, the Student Council President of Ooarai is summoned away, kicking off the main plot. This is something that was left unresolved at the end of the anime, something the girls of Ooarai had fought to avoid. If the mere sight of this guy makes you want to punch him in the face, don’t worry, you aren’t alone. If I were to craft a tagline for this movie it would simply be “Take back Ooarai” as that sums up the film completely. If you’ve seen the series then you know exactly what that line infers. The worst has happened. This leads into the second act of the film which pretty much revolves around the consequences of this event. Suffice to say, the second act is probably the most emotional of the three. There’s a lot of time spent with the various girls as they deal with the current situation and we do see how it affects them, some more harshly than others. However, this is Girls und Panzer and the Ooarai girls are not going to just sit around and do nothing. There’s always a way forward as long as you keep advancing after all, even if you’re advancing backward. This leads us to the third act of the film which is really one giant Tankery match. However, it’s a match done well. Calling back to anime once again, if you’ve seen the last two episodes, then you have a good idea about how the pacing of the fight plays out. Basically, it’s a battle that’s divided into various well done smaller skirmishes. Don’t think that means this fight is either easy or that it’s boring. This is a very action packed and tense third act. The usual rule of unconventional tactics and combat is fully in play here and the film takes full advantage of the fact this is a bigger scale project when it comes to that. One last thing before moving on is that if you’re worried that the Ooarai girls are going to hog the spotlight, don’t be. Yes, the film focuses on their plight, but all of the other schools, including Anzio, find a way to contribute to helping Ooarai out of the biggest pinch they’ve ever been in. Now though let’s really delve into the technical aspects of this. 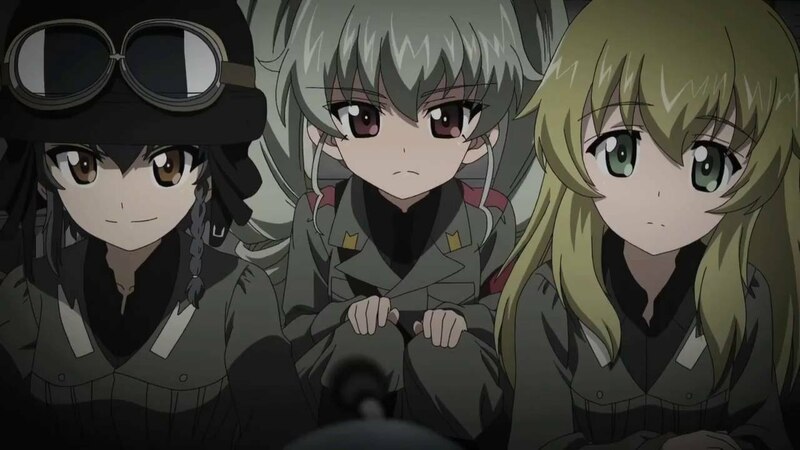 Despite not getting a chance to shine in the anime, Anzio manages to stand out here and makes a good showing. Girls und Panzer has always done an amazing job with both its visuals and its music. der Film is no exception. The score contains a lot of very familiar tunes and themes, and everything feels very grandiose as it should. 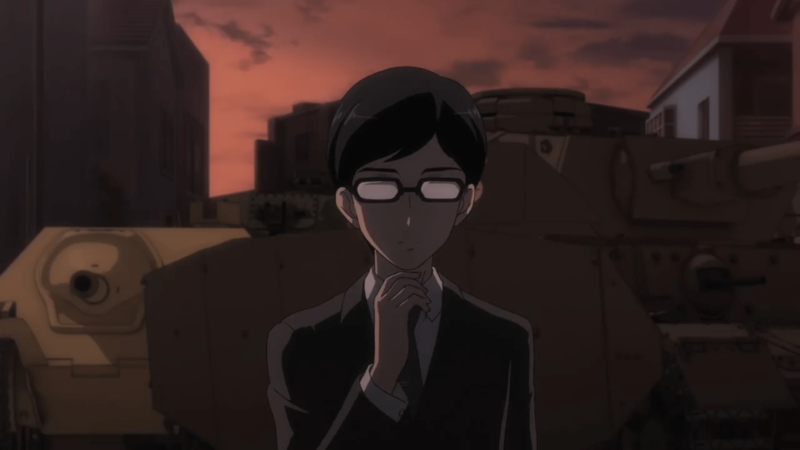 You might not think an anime about tanks could make things such as battle hymns and marches fit without going over the top with it, but really it’s the subdued and true to form nature of these songs that help maintain a sense of realism and tension to what’s going on. Visually, the animation makes good use of the film’s budget to give us not only larger battles but larger and more complex battlefields. The final battle in particular makes use of some rather interesting locations and terrain. Another thing of note are the beautiful CG tracking shots and first-person angles that the show used. The latter tends to be used only when it adds something to the scene. It’s something that puts you right into the action without feeling too disorienting, which is hard to do. That said, there is one thing that will be a glaring problem to some and a nitpick to others, and that is the action itself. It’s not that the action is bad, far from it. The problem is the film goes over the top at times, which may bug some people. While Girls und Panzer certainly employs some unconventional battle tactics at times, it still tried very much to allow what’s happening to be plausible. der Film, in contrast, flat out breaks that plausibility in favor of creating some very memorable and unique action set pieces. Don’t get me wrong, I find the results to be absolutely awesome in that quirky kind of way, but others may be a bit disappointed. Thankfully at its core this is still Girls und Panzer and I think in the end that’s really what matters. 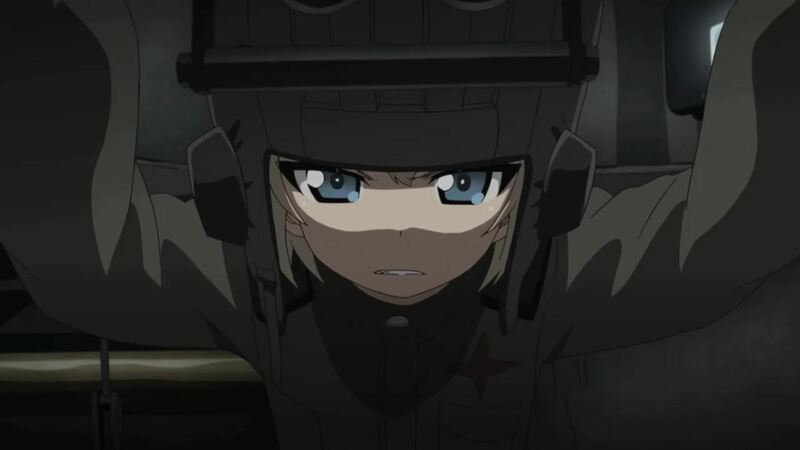 One of the key reasons the film works is because it actually does take the time to give even secondary characters like Katyusha an arc. To conclude with a horrible pun, Girls und Panzer der Film is “der Excellent”. As I mentioned in the opening to this review, there are many pitfalls when transitioning from a television series to a film. Girls und Panzer der Film manages to avoid almost all of them. As I said the only nitpick I can make is how over-the-top it gets at times, but even that can work in the movie’s favor. When it comes to a theatrical version of something, we want it to be bigger and better, to go beyond the normal constraints of the television medium. Girls und Panzer der Film does just this. It manages to scale up what made the series so wonderful to watch on the small screen while giving us that big budget feel. Currently, the film is showing in a limited capacity nationwide. If you can see this in the theater, do so, as the surround sound alone is worth the price. However, if you have to wait for the DVD release then, by all means, do not let this pass you by. This is a great film that should have you saying “Panzer Vor” all the way to your favorite retailer.